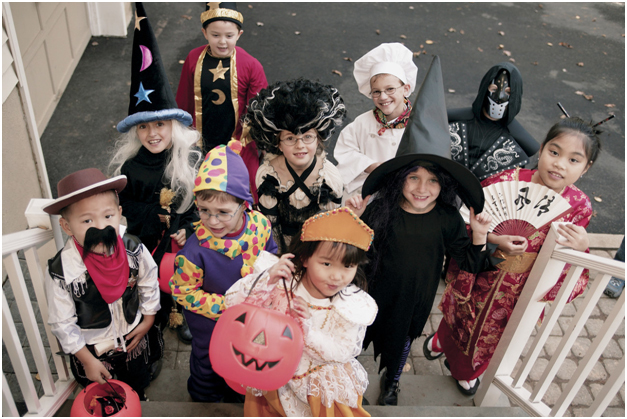 Halloween—the Halloween I remember from my childhood—is my favorite holiday. There’s something refreshing about the crispness in the air, the crunch of autumn leaves, the sweet scent of decaying leaves mingling with smoky air from fireplaces, suggesting that just inside awaits a warm sanctuary from the creepy chill of the outdoors. 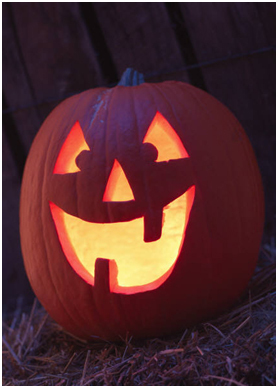 Carving Jack-O-Lanterns and creating costumes always allowed my creative side to flourish. Since I can remember, my mother had been instilling in my creativity by example: she hand-made my Halloween costumes so that they’d always be special. I was in awe at her sewing skills—the fact that a pile of fabric could be turned into a perfectly-fitting outfit in a matter of weeks amazed me (and probably inspired me to—years later—sew my own wedding dress). A white van screeched to a halt in front of the driveway. The door opened. “Get in!” a crazy voice called. My mind raced with all those after-school-special videos we saw in school. This was a stranger. Don’t talk to strangers. Don’t get into their cars. But a part of me—perhaps the writer was alive even then—felt too intrigued to leave the situation so soon. Behind me, the rest of the kids were running back toward the porch. Even a boy was screaming like a banshee. But I crept behind a tree—a safe enough distance: if someone wanted me, they’d have to come out of the van and chase me down. But there from behind my perch, I could watch the situation. I was hoping to view the perpetrator. Was he as ugly as he was in my mind? My subconscious worked to create all kinds of back-stories to his life, and I imagined he might look similar to Freddy Krueger, all gnarled and creepy. Then I thought about a detective story I’d written a year earlier. The people in that story—a group of neighbors who decided to overcome police incompetence by catching a burglar on their own—would not have spent their time staring at the perp. No, they would be looking at the license plate, memorizing it to tell the cops later. I squinted and stared, but it was no use. It would still be four years before I realized I needed glasses, but I chalked it up to the darkness. I could not see the license plate. Nonetheless, it’s a memory that’s stayed with me, and it’s one I’ve incorporated into the newest book in the Corgi Capers series, The Sorceress of Stoney Brook. In the tale, Adam is getting ready for All-Star Baseball playoffs, but he can’t escape October’s chills. A pair of new neighbors moves in, and Adam is convinced they’re witches. But his parents love them, as does Courtney, so he’s got no one to talk to about his concern except his best friend and his corgis. Worse, Courtney has found some new friends of her own, and they constantly threaten Adam, boasting of a great prank they’re going to play on him come Halloween. Are the new neighbors really witches? Will Adam ever gain the upper hand over his mischievous sister Courtney? You’ll have to read it to find out! Coming Soon from Dancing With Bear Children’s Line! 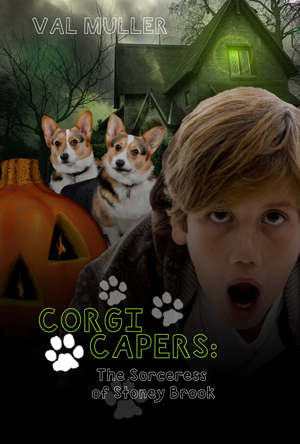 Corgi Capers Book 2: Coming Soon! Posted on September 6, 2012, in inspiration. Bookmark the permalink. Leave a comment.